Our concept of home entertainment has changed over the decades. It’s less than a century since radio was a new medium, offering more entertainment than we’d ever imagined. Then came films. They were followed by television in the 1950s, and we were entertained even more. Movies and TV came together as home entertainment with the advent of videos, then DVDs. Music came home with us on 78s, then 45s and the LP, which developed into the cassette tape then the CD. Now, though, we can have all of our entertainment digitally. Television remains the most popular form of home entertainment, which is hardly surprising, as it’s been the dominant entertainment medium for several decades now. But in that time it’s experienced several advances. We take all the channels on Freeview or satellite TV, and the choices they offer, for granted. TV has gone digital and high-definition. Sets are thinner, wider, the pictures crisper and wider than ever before. Instead of VCRs, now we record shows onto hard drives and DVD recorders to watch later. 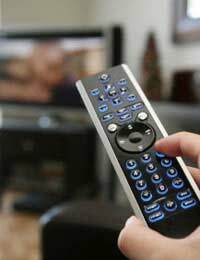 But now we can also watch TV on our home computers, whether it’s live streaming – there’s software that allows you to stream a number of channels in real time - or to view later, as with the BBC’s phenomenally successful iPlayer. We can even download and store entire movies and burn them onto DVDs. That’s indicative of the biggest change in home entertainment – the computer is now at the heart of it all. In the mid 1990s computers were fine for word processing, calculations and sending basic documents. The Internet was a mystery to most people and connections online were so slow that anything beyond the basics was out of the question. High-speed broadband has changed everything. The fast connections, which are increasing all the time, make for the speedy transfer of data. They’ve made video-sharing sites like YouTube and music downloads very feasible, and helped bring them into the mainstream of entertainment. These days, instead of going out and buying CDs, for instance, we download tracks from the Internet and store them on our hard drives, sending copies to our iPods and MP3 players so we can listen when we’re outside. We’re entertained by the Internet itself, spending hours sampling the videos on YouTube, for example, playing games, surfing the Net, shopping in ways that were unimaginable just 20 years ago. We rely on our computers not only to perform task, but also for entertainment. We download for later, instant message and chat, and fill up our free time online. Wireless connections mean that our entertainment can go with us into the bedroom, spare room, even the garden as we carry our laptops around. We can hop online in coffee shops, hotels, cafes and bars, everywhere that has a wireless hotspot, so our entertainment goes on the road with us. With the massive processing speed and capacity of today’s computers, playing games online is easy, and the idea of multiplayer online games has taken off in a big way. At the same time, the video game industry is huge, with gigantic sales on consoles, both for home and portable, with new titles appearing every month. The idea of casual gaming has really transformed gaming, really making it into entertainment for the whole family. With each technological advance our lives have changed and the options for home entertainment have increased. But not even the spread of television, arguably one of the biggest cultural changes of the 20th century, can compare with the way the computer has altered home entertainment. But really, we’re just at the tip of the iceberg. Has The iPod Changed Music?